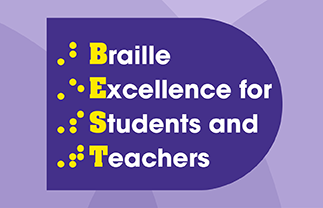 The BEST Grant is a statewide project of professional development and technical assistance dedicated to braille literacy, braille instruction, braille materials and braille technology in Ohio schools. Increase the braille competency of Ohio’s educators through the provision of high quality professional and technical assistance that focus on results-driven outcomes. Increase the knowledge and use/implementation of braille and state-of-the art technologies of Ohio educators through high quality professional development and technical assistance that focus on result-driven outcomes. Increase the competency of personnel providing quality braille materials for Ohio students who require braille through the provision of high quality professional development training and technical assistance support. Applications for local braille products centers (LBPC) are now available through the BEST grant. LBPCs can support districts in their production of incidental braille materials.